Yes, I'm writing a blog post about a pair of socks. But hear me out. Those of you who know me, will know that I'm a sucker for warm, fuzzy socks. Those of you who know me really well, know that that's because I get cold feet (literally, I mean, not figuratively). 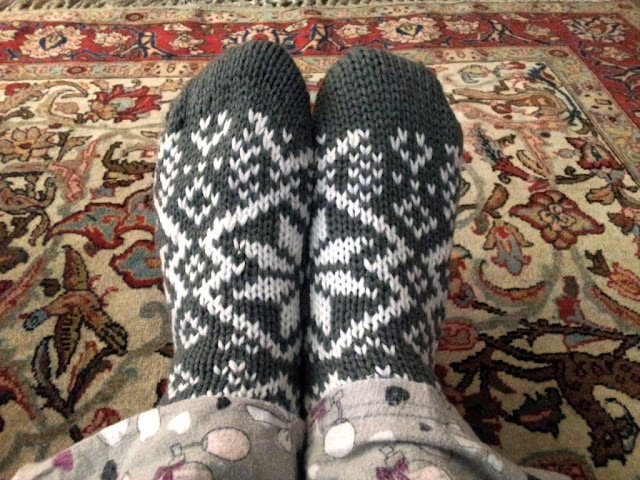 In winter, the difference between a cosy, happy LJ and a cold, miserable one lies in what's on my feet. So when I discovered these socks from Woolworths (R79.95), it was like heaven. Knitted on the outside (with rubber dots so you can walk instead of slide), and a super-soft, super-fuzzy, super-warm lining. 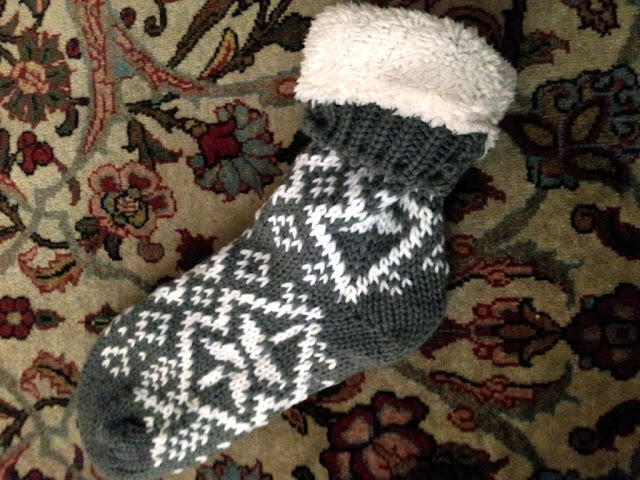 Plus, Fair Isle design! And grey! I'm basically going to be living in these at home for the next few months. Oh man, I frigging love a good pair of cosy socks.